The New River Gorge is more than just a beautiful canyon with a stately river running through it. 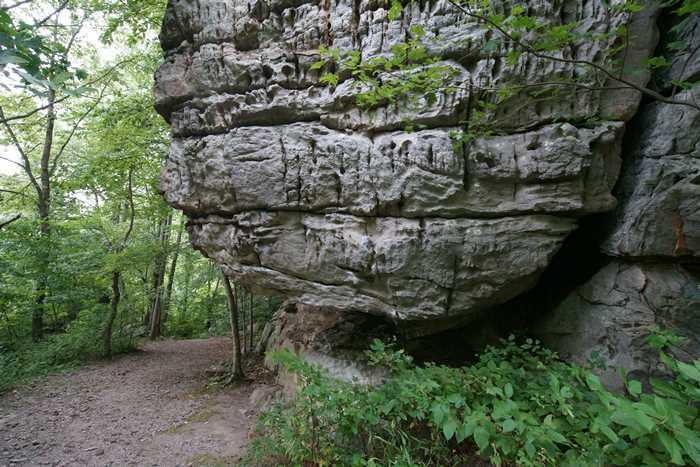 The gorge also holds some important pieces of West Virginia’s history. 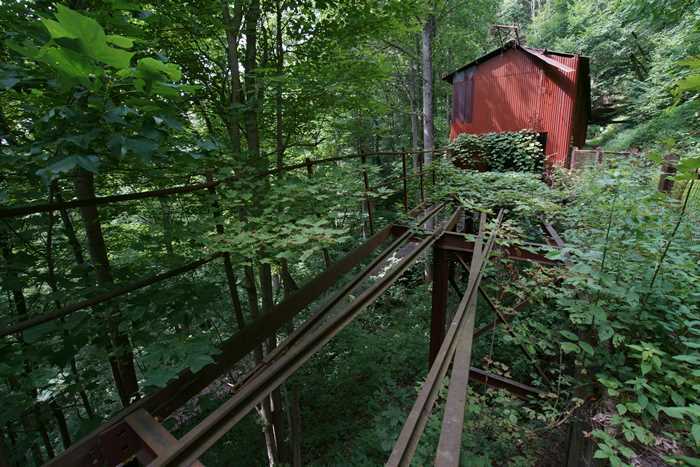 They are hard to find — halfway down the steep walls of the gorge, where nature is slowly reclaiming them. But thanks to the National Park Service, these places where men once made a hard living have become tourist attractions, and hiking destinations. None is more recognizable than the Headhouse overlooking Nuttallburg. 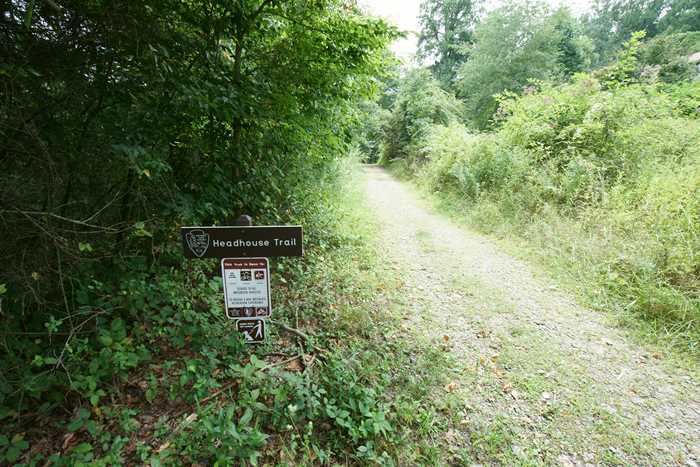 The Headhouse trail takes you there with just a little effort. The Headhouse Trail parking area can be tricky to find. From US 19 on the north side of the bridge, turn onto Lansing-Edmond Road. Take it 2.5 miles, then turn right on Beauty Mountain Road. Moments later, the road will split three ways — take the MIDDLE road to the trailhead. As I started down the Headhouse Trail, I felt like I was in the wrong place. 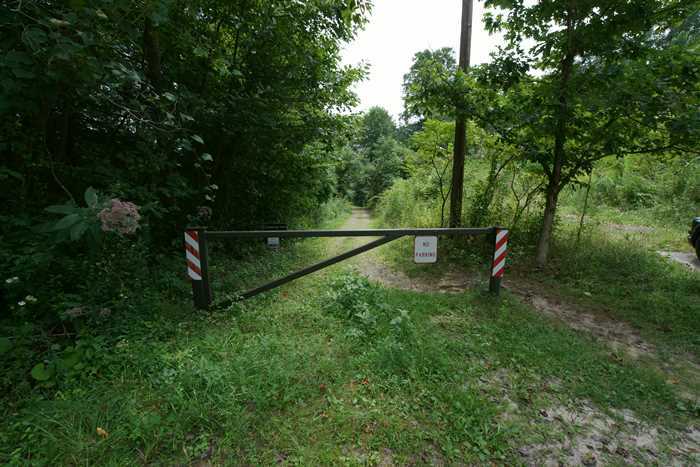 There isn’t much parking at this trailhead, and with a home nearby, it feels like you’re parking in someone’s driveway. But, when you see this gate, you’re in the right place. A short distance down the trail, a small sign provides some reassurance. … aside from an occasional photogenic rock. It’s 7/10 of a mile to the headhouse, and it’s all downhill. 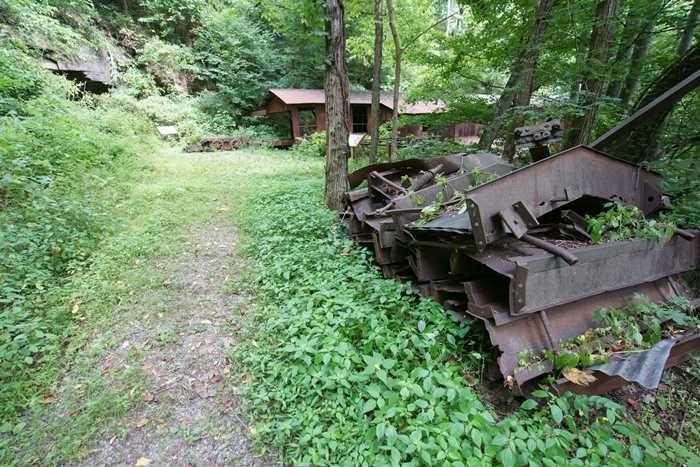 … and takes you past some other mining equipment, on your way to the headhouse. 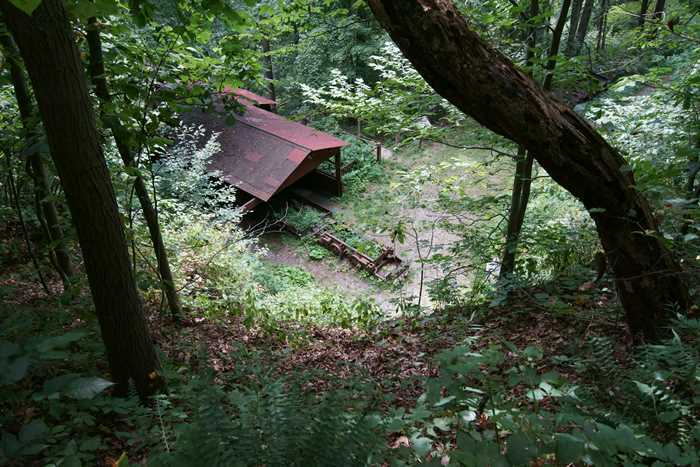 The Nuttallburg Mine was a “drift” mine, meaning the entrance was at the same level as the coal seam. This made the work easier – miners didn’t have to descend a shaft to reach the coal, or lift it up the shaft once it had been mined. But, this particular coal seam was only 3.5 feet tall, which meant the miners often worked in tight spaces. 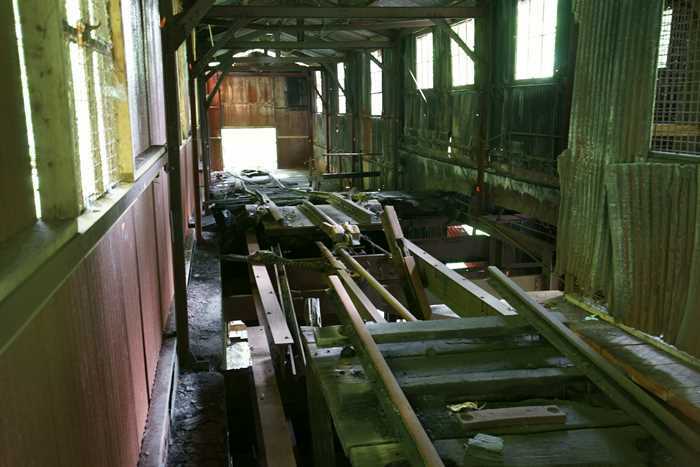 … where it was weighed, then loaded onto a conveyor belt for the trip downhill to the railroad tracks near the river. 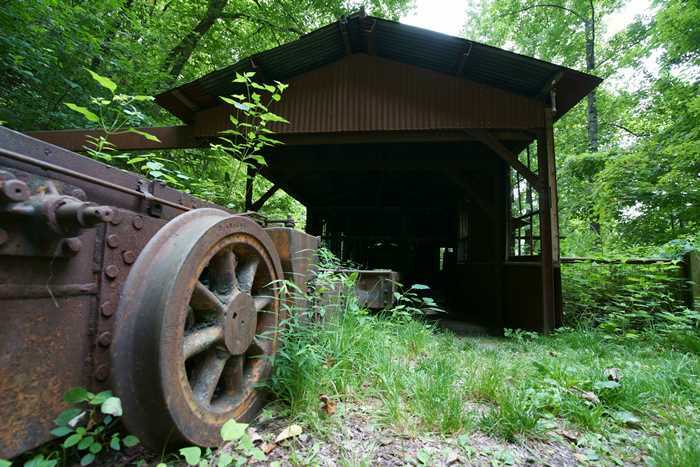 The Nuttallburg Mine was active from 1873 to 1958, first using mules, and later, electric locomotives. This headhouse dates back to the 1920’s. The technology inside was considered cutting-edge for that time. The red headhouse stands out among the plant life that is slowly swallowing it up. A few other building still exist nearby. This one appears to be the sand house, which was used to store sand that would be spread onto the tracks during winter weather to improve traction. From the headhouse, you can choose to hike further down the hill to the old townsite of Nuttall. It’s 8/10 of a mile down, and it’s a very steep trail, but you will get some more views of the conveyor. 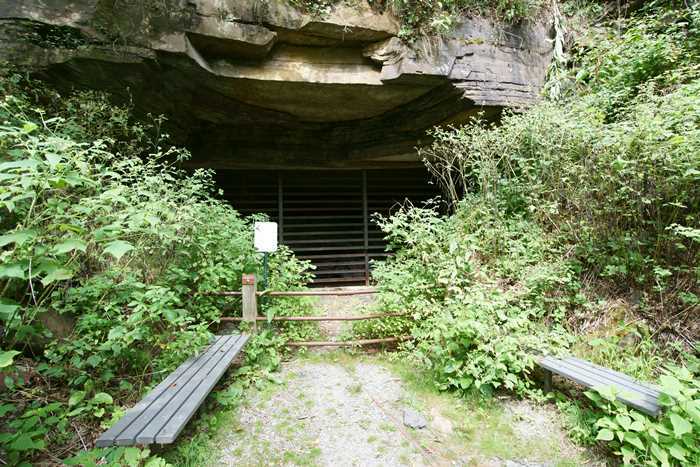 Alternatively, you can drive down Keeneys Creek Road to see some of the attractions at the bottom of the gorge, including the other end of the conveyor. Unfortunately, during my visit in 2017, the road was closed, and I didn’t feel like hiking further downhill (and then up again! ), so I decided to be satisfied with a visit to the headhouse. After all, a much better trail awaited nearby. 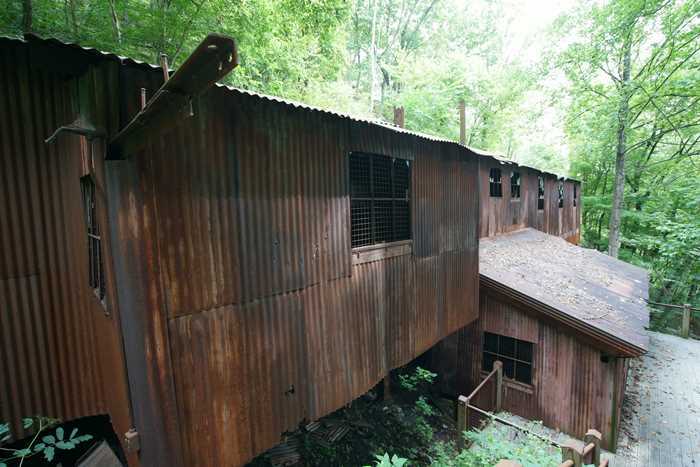 If you don’t mind a steep climb downhill (followed by a steep climb uphill on the return), you’ll enjoy this short hike to a mining ghost-town in the middle of the New River Gorge. 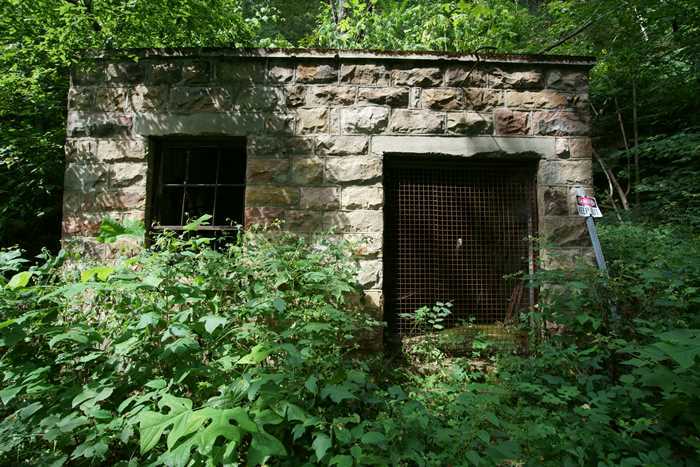 Numerous artifacts from the coal mining days make the hike down to the Nuttallburg Headhouse worth the effort.